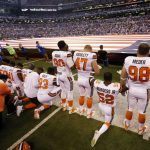 The NFL Players Association (NFLPA) has filed a non-injury grievance against the league for its policy change regarding personnel conduct during the singing of the national anthem. 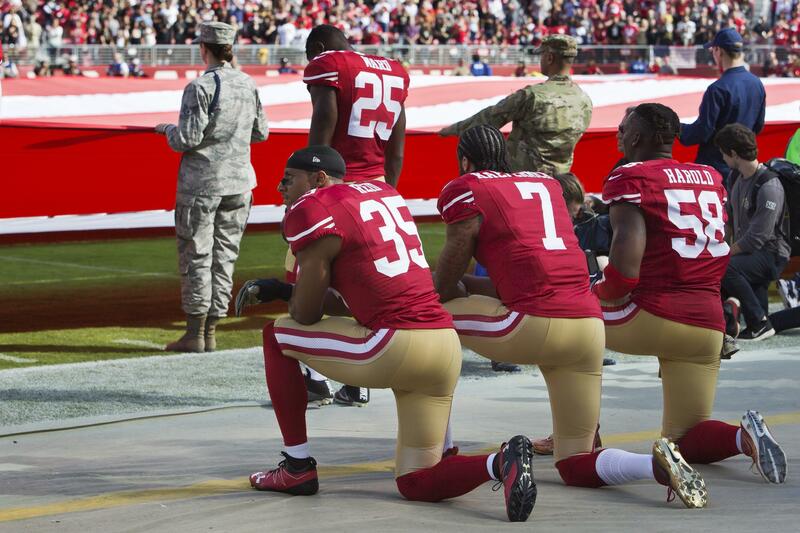 In May, NFL Commissioner Roger Goodell announced teams would be fined if their players do not stand during the anthem. Those who wish not to stand must remain in the locker room until the anthem’s completion. 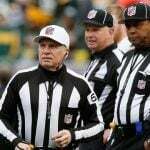 This new policy, imposed by the NFL’s governing body without consultation with the NFLPA, is inconsistent with the collective bargaining agreement and infringes on player rights,” the union said in a release. 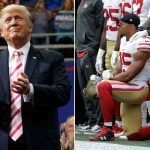 President Donald Trump was the main antagonist to players who claimed they were kneeling in protest of social injustices in America, specifically racial inequality and police brutality against minorities. Trump said the NFL should force its players to stand and honor the country during the anthem. NFL viewership continued to decline last year. Ratings were down nearly 10 percent throughout the 2017 season, and they were down the year before, too. Several causes can be blamed for the ratings decline. More Americans are cutting the chord on their cable television service providers, and the 2016 presidential election perhaps turned some away from pro football. 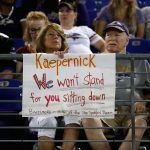 But kneeling has unquestionably angered many and convinced some to turn off the games and boycott the league. Though viewership is falling, sports wagering is climbing to new highs. Nevada sportsbooks collected a record handle last year, with total bets coming in at $4.87 billion. Oddsmakers kept 5.1 percent of the wagers for a win totaling $248.8 million. The only state where full-fledged sports betting was legal before the Supreme Court repealed the federal prohibition in May, Nevada sportsbooks have accepted more bets for nine straight years. With states now able to determine their own sports gambling laws, legal betting is expected to grow interest, and perhaps ratings. Nielsen Sports says people who bet on NFL games last year were responsible for 25 percent of overall television viewership. But they accounted for 47 percent of all minutes watched, meaning they take in many more games than fans who don’t gamble on the outcomes. ESPN said its “Monday Night Football” ratings were down in 12 of its 18 games because it had fewer subscribers. The sports network recently unveiled ESPN+, a streaming version of the cable channel for $4.99 a month.